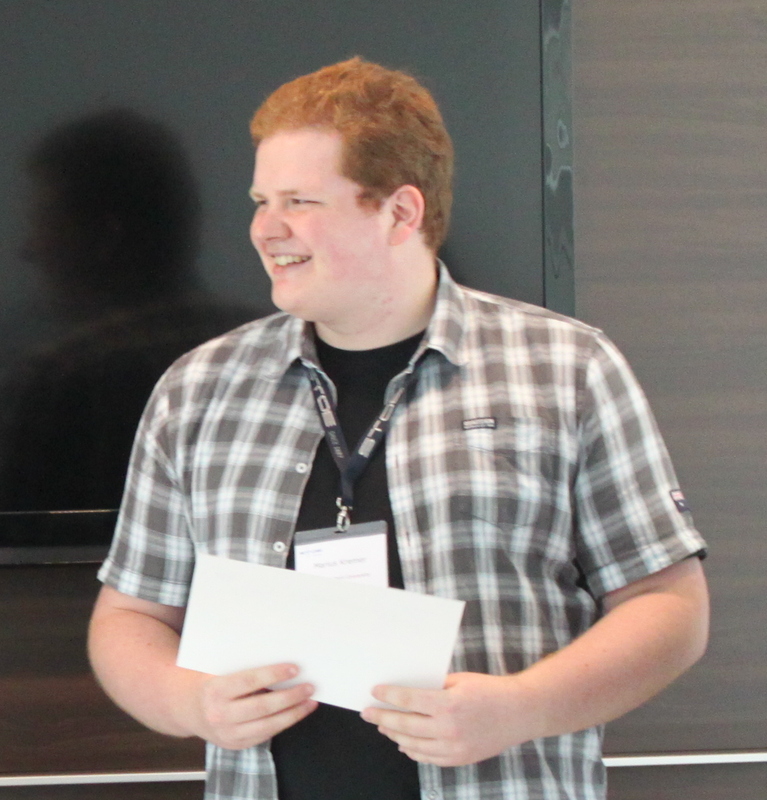 Marius Kremer was one of three people during the STOE Lab Meeting 2017 who excelled with their poster and lightning-talk presentation which earned him one of the poster prizes. He did his master in chemistry at the Rheinisch-Westfälische Technische Hochschule in Aachen, Germany where he graduated in 2017. For his PhD, Marius moved temporarily to the Ruhr district to do his PhD at the Max-Planck Institut für Kohleforschung and will return by the end of the year back to Aachen to finish his PhD. Furthermore, he uses his scientific knowledge to coach school kids in several different subjects. What is your fascination with crystalline ladders? I would say, that I am fascinated with crystalline structures in general, the ladder structure just happened to be the one I most recently crystallized. I think it is always awesome to see how precisely and highly ordered structures can be which are created from completely amorphous powders and solutions. The more complex the resulting structure is, the more fascinated I am. The ladder structure in particular is very interesting because it is a one dimensional crystal, meaning that it extends indefinitely in one direction, and not at all in any other directions. Taking a close look at the structure and understanding how the many independent parts are arranged in the crystal to obtain such a structure is really interesting. What and why proved to be more challenging for you, crystal synthesis or the evaluation of your diffraction experiments? In this particular case, both steps proved difficult. The crystallization in itself is rather straight forward, but the resulting crystals are quite small and sometimes take weeks to form. It took me several tries to actually synthesize a batch of crystals that were large enough for proper diffraction experiments. Once I had good diffraction data, it was easy to identify the metal-organic framework, but the crystals contain a large amount of very small, and highly disordered solvent molecules in the pockets and cavities created by the ladder conformation. Finding a balance between a complete and seamless solution and a reasonable model that still made chemically sense took several weeks of work and a lot of help from my more experienced co-workers. What was the biggest challenge you had to overcome in your project, so far?Since I completed most of this project as part of my master thesis, I could always count on the help of my supervisors when I was faced with a particularly difficult challenge. The biggest challenge was probably the solvent refinement I mentioned above. Not only because it was a difficult task in itself, but because I was quite inexperienced when it came to the refinement of displacement, splitting of atoms, and other tools provided by PLATON. Luckily I had very helpful and patient co-workers who taught me a lot. Are you more interested to further the understanding crystal engineering or more interested into creating new ladder structures (and why)? I think creating new structures and furthering the understanding of crystal engineering can hardly be separated. Quite often when I synthesize, measure and solve a new crystal structures, I come across something curious that I cannot explain with my current knowledge. I am regularly forced to consider new possibilities and unexpected behavior in crystallization procedures. So I feel like creating new ladder structures goes hand in hand with furthering the understanding of crystal engineering, and I am equally interested in both.